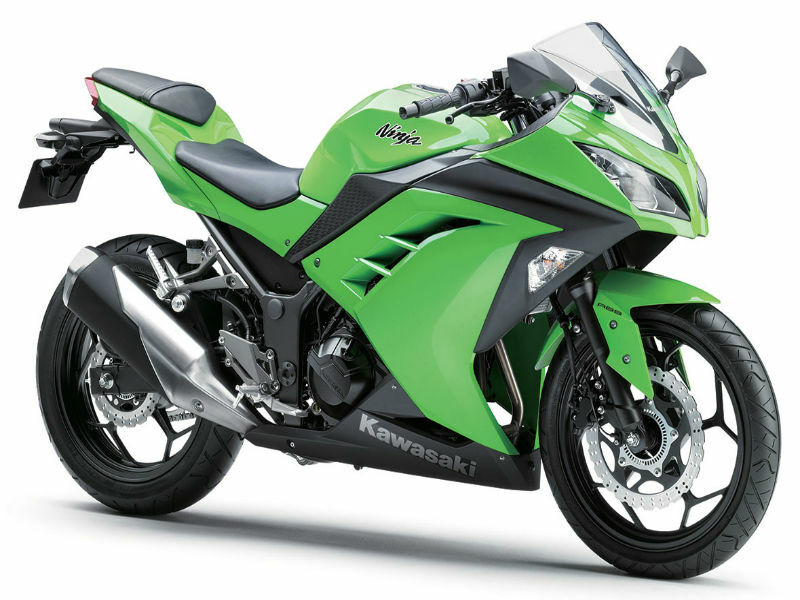 Kawasaki Ninja 300R is an attractive bike with gorgeous looks, quality structure and better performance. Read the review to explore the features, technical specifications & price. Kawasaki Ninja 300R is an impressive bike which has the power to stun every onlooker by its gorgeous bodywork, amazing graphics and great colors. The attractive curves and lines on the vehicle not only add to the looks but also help to meet the aerodynamics thereby assuring great performance and thrilling speed. Just like is appearance, the technical aspects of the motorbike are also quiet strong enough to meet the demands. This trendy bike is packed with powerful 296 cc, four stroke, parallel twin engine which assures the better performance. The maximum power generated from this is about 39 Bhp at 11000 rpm and the highest torque achieved is 27 Nm at 10000 rpm. The power so delivered reaches the wheels of the motorbike through 6 speed manual transmission. The bike is blessed with stunning looks which has the power to attract every passerby. The eagle eyed headlamp, striking instrument panel, attractive graphics, impressive body curves, fairing covering the naked parts and broader wheels give macho look to the motorbike. Further the rightly placed handle bar and comfortable seating position makes driving even more pleasurable. The road appears smooth and flawless while riding Ninja 300 R and this is made possible because of its efficient chassis, quality frame and large wheels. The suspension of the vehicle including the front 37 mm telescopic and rear linked monoshock helps in providing the improved riding experience thereby helping the rider to enjoy even the long drive. Further the efficient 290 mm Nissin disc brakes at the front wheel and rear 220 mm Nissin discs helps in quick halting of vehicle even at short distance. 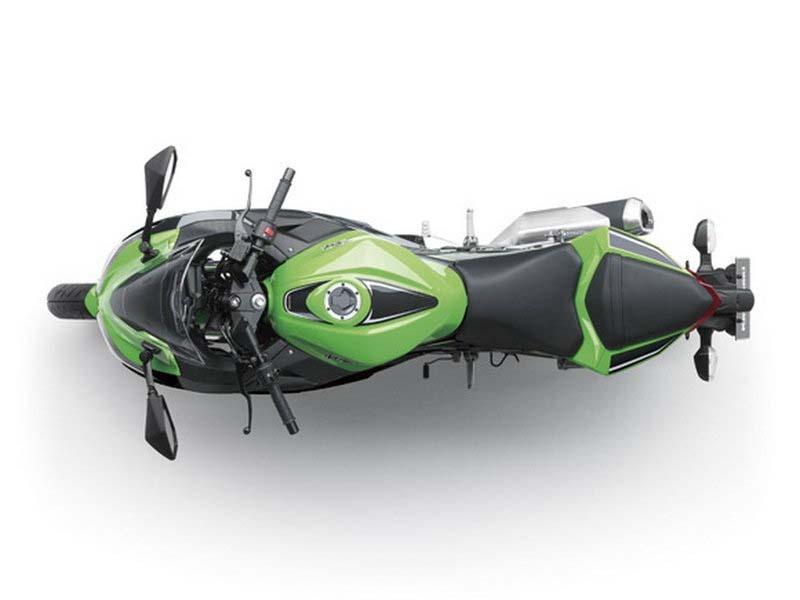 In top version, the bike also comes with ABS facility which guarantees greater control to the rider. 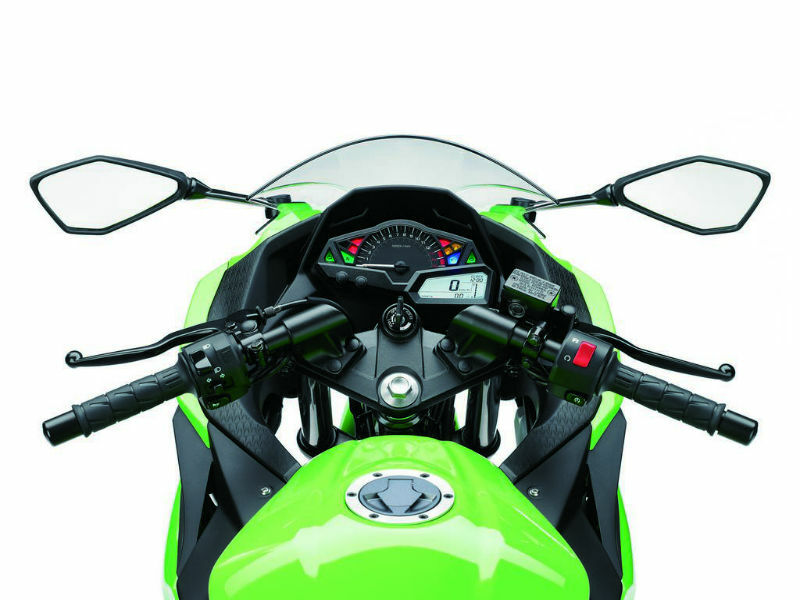 The all new Kawasaki Ninja 300R is expected to give a descent mileage but exact information about it is yet to known. The bike is expected to be released for Rs. 3,00,000 and the colors available with this are white, black, green and red.